Smartwatches are not the only wearables people seem to be crazy about lately. Another market segment, not that new, keeps growing strong! We’re talking about fitness bands, those tiny little things sports enthusiasts keep wearing around their wrists in order to see all the information about their workouts. 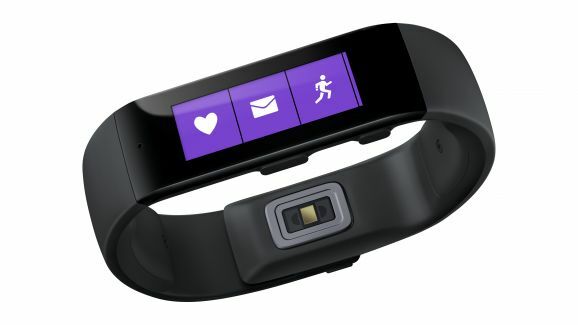 The latest player to join the game is Microsoft, as they just introduced their latest fitness tracker! Dubbed as Microsoft Band, it comes with 10 sensors which, besides the regular functions, like measuring your pulse or number of steps taken, it can also detect UV exposure or even your stress level, according to GSMArena. The best part about Microsoft Band is that it supports Android, through the Microsoft Health app, which can also be used for iOS and, of course, Windows. Basically, it’s one of the fitness bands which can be paired with most of the smartphones of the market. The battery is supposed to have a 48 hour lifespan, which is also a major advantage over the other similar devices on the market. In other circumstances, this should’ve been the Nokia Band. Or not? For the moment, this is all the available information, but we will be back with more the details about the Microsoft Band as soon as anything new comes up.